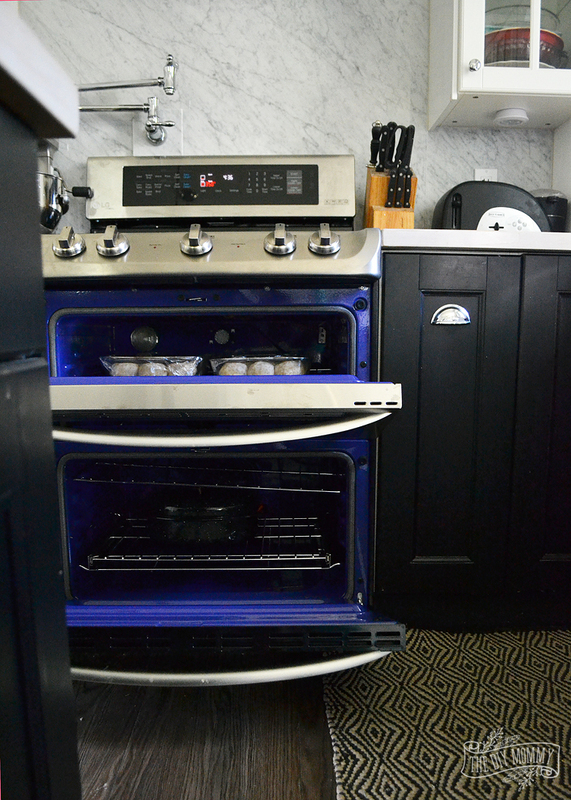 Are two ovens better than one? That’s what I wanted to find out when I had the chance to try out this gorgeous LG electric range with double oven from The Brick. 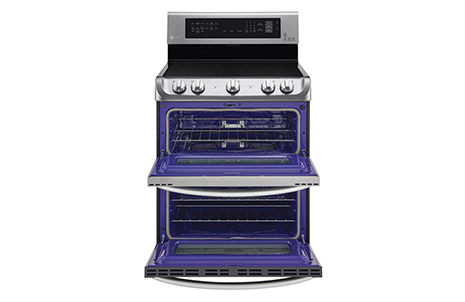 As someone with 3 growing kids that are eating more and more each day plus a very large extended family, I’ve always wanted a stove with double ovens. I thought that it would help when I had to host large meals at our home by making multi-tasking easier. 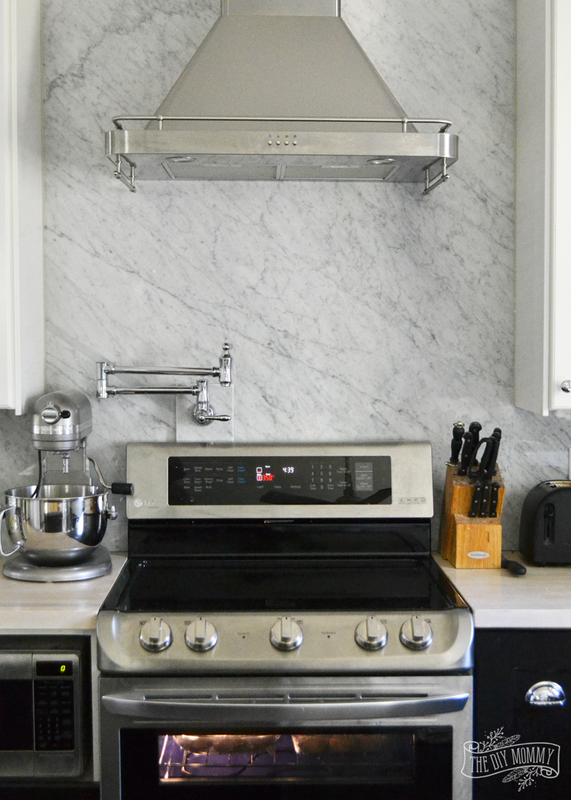 Are double ovens worth it? Let me share with you what I’ve found after almost a month of using my LG range. We received this stainless steel LG 7.3 Cu. Ft. Electric Range with Double Oven at the end of July to replace our old range that we sent up to our guest house. My parents are living there temporarily, and my mom was absolutely thrilled to have an oven back to bake. I come from a long line of bakers, and we get the shakes when we don’t have our ovens! 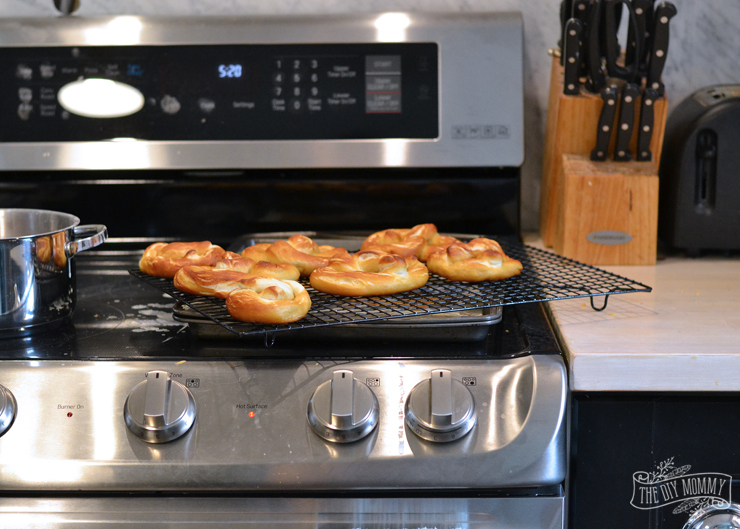 I employed both of the double ovens for this task, so I was able to bake 24 pretzels in a much shorter amount of time than usual. I found the capacity of the ovens fantastic, and they definitely did hold a lot more baking than my old single oven. Also, I was able to keep popping pans of pretzels in and out and use the separate oven timers to keep track of how long each pan needed to bake. The only thing I noticed was that the bottom oven seemed slightly hotter than the top one. This was easily fixed by doing an oven temperature adjustment using the oven manual as a guide. The next thing I really like about these ovens is that I can proof bread in one oven while baking something in the other. This came in handy when I was making a roast the other night with some homemade buns. The bun dough rose in the bottom oven while the roast started its slow roasting in the other. 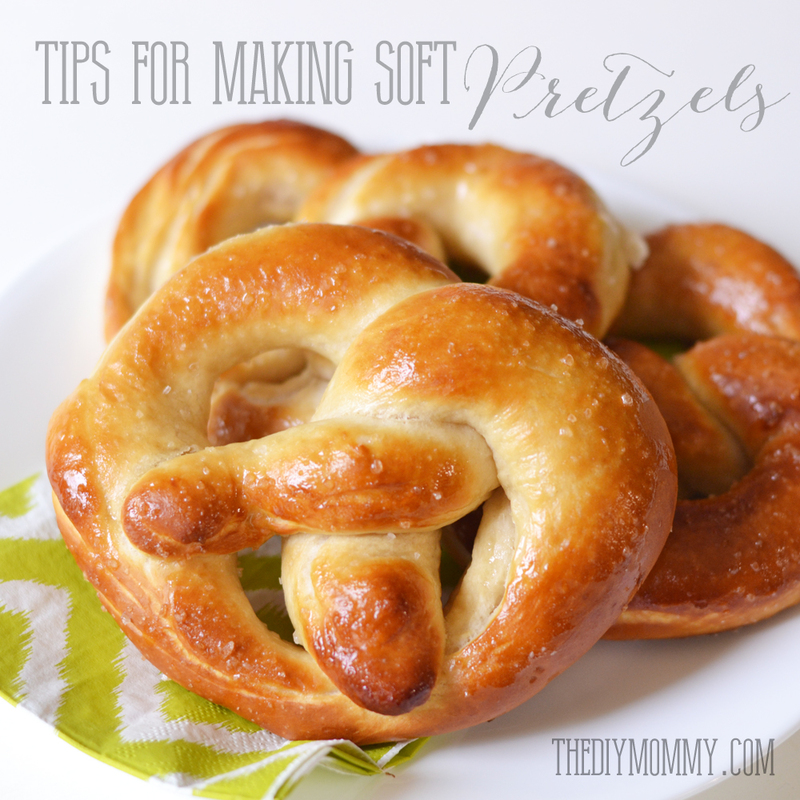 This is a great feature when you love baking and want to multi-task! When talking with some friends that had double oven ranges, they mentioned that they mostly only use the top oven on a day-to-day basis and then use both for entertaining. I think this is how my range will be used too. While at first I thought this seemed a bit wasteful, I’ve learned that it’s the complete opposite of that – the top oven is really small, so it uses less energy to cook things. When I want to cook a simple one-pan dinner, the top oven is perfect because it hardly takes any time at all to heat up. Some of the other features I like about this range? The front left burner is super hot, so it’s fantastic for boiling water for pasta and potatoes. There’s also an extra large burner on the front right that has three different size options, so that one’s great for cooking breakfasts in large pans. The bottom oven has a convection feature which I’ve always loved to use for baking. I haven’t tried this oven’s EasyClean feature yet, but I’m looking forward to giving it a shot next time my pies overflow (which is all the time)! When I asked my daughters what their favourite part of the new stove was, they all agreed it was the fact that the ovens were bright purple-blue inside and that the oven sings happy songs when it’s at temperature and when your timer’s done! You can read more about this range’s features right here. My verdict: A range with double ovens is a good investment if you like to entertain and/or bake. If you don’t do either of those things, I’d say a regular, single oven would be a better choice in your home. If you do like to host large gatherings and bake a ton of buns and cookies, this is definitely the range to get. We’re loving it so far and I can’t wait to use it at Thanksgiving and Christmas time! 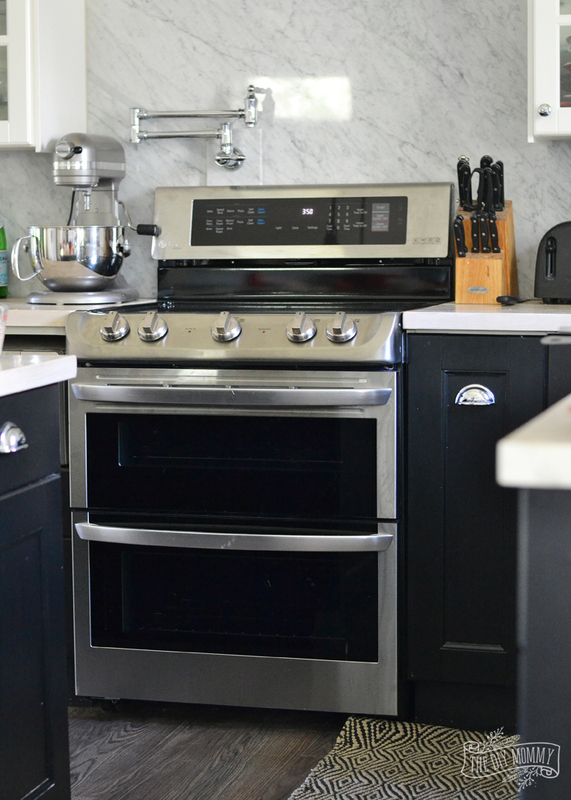 Have you ever tried a range with a double oven? What did you think? What a beautiful appliance! I really thought of going double oven but didn’t end up doing so when we renovated – maybe next time though! I recently purchased the Samsung flex duo model. It gives you both a traditional single cavity and a double oven in one. will be delivered on Saturday , can’t wait to test it out. 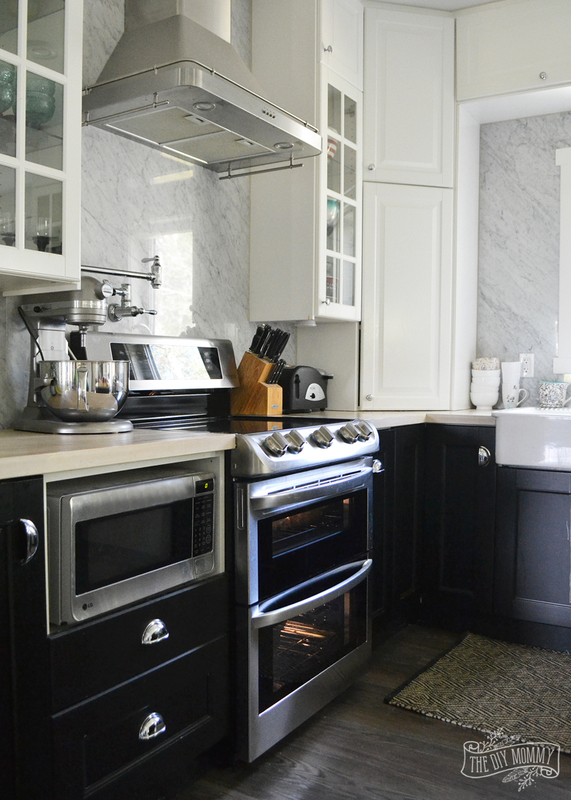 Hi:) came across this article while researching double ovens for my kitchen reno. Besides enjoying your great feedback on the oven I noticed your range hood. It looks like the one I have been eyeing at IKEA. Is that where yours is from? If so, do you like it? Do you feel like it does the job well? I’d really appreciate your feedback as I love the design and style but the reviews on Ikea’s US page are so-so. It is a pricier hood and I just want to know that it is worth it. Thanks!!! Have had a GE double oven for 6 years. No problems. Not convection. Now updating. Used top oven exclusively. Have ordered the LG 4617 induction single oven. Got induction because ease of cleaning cooktop was paramount. Struggled between double and single oven. Wanted a convection oven, but convection is only available in the bottom oven. We use the top. Wanted an easy to wipe down oven. 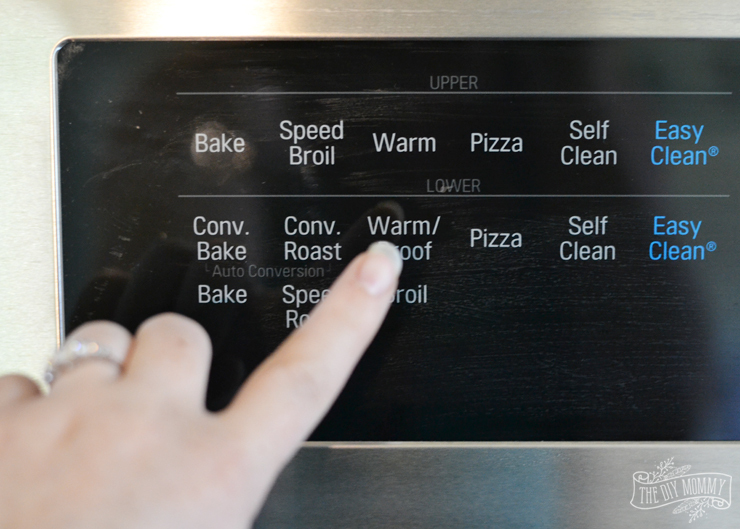 On a double oven, the top oven has coils on the bottom which makes wiping difficult. On the single oven, the coils are on the back, like any convection oven. Easy to wipe the bottom. If we had room for a large convection toaster oven, we may have ordered the double. We don’t. I recently got into baking and it’s becoming my new hobby. Do you think I (a beginner) should aim to get a range with double ovens?